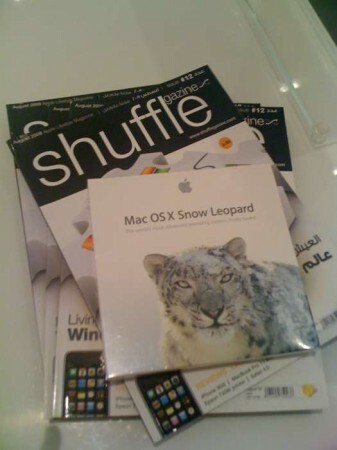 Shufflegazine will be covering the midnight launch of Mac OS X 10.6 Snow Leopard in the United Arab Emirates. The event will be at iStyle stores in Dubai and Abu Dhabi. There is no similar event in Saudi Arabia, just like the Mac OS X 10.5 Leopard launch event back in 2007. Follow Shufflegazine on twitter. Image found on For the Love of Geeks. The Mac Observer’s post about the event. I think it’s a shame you guys didn’t get to enjoy it the same way we did. It was fun hanging out with other Apple fans in the store. 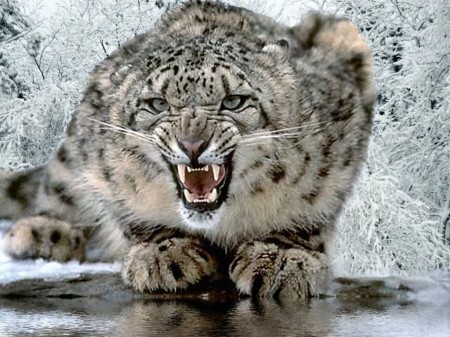 I have some video uploading right now and you’ll see some people talking about Snow Leopard. I wonder why that is though, that you didn’t get it as well, I mean there are iStyle stores in KSA too. Perhaps it’s an issue of boxes getting through customs in time or something. i was in iStyle Altahlia street branch in jeddah today and they told me the CDs will available by tonight or tomorrow and they will charge SR 140,,i know its sadly just a normal sales with no launch event in here.